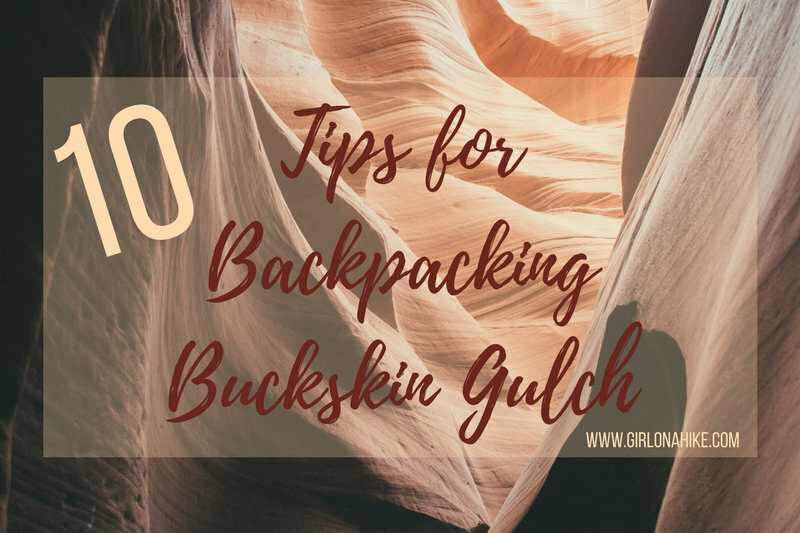 Some years Buckskin Gulch can be totally dry - but that's not the norm. 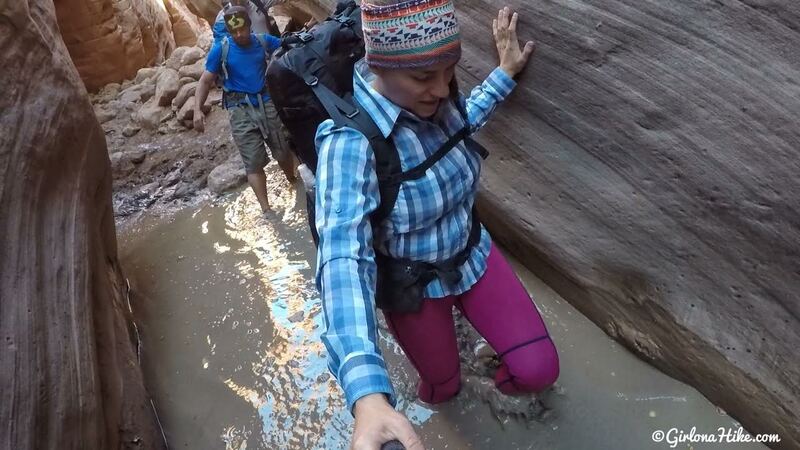 My friend thought that she would be able to take her waterproof pants on and off for each pool, but in reality, we were walking through water every few hundred feet. It would have taken up too much time to change in and out of other clothes. Just plan on being wet most of the time. Some parts of the year, and depending on recent weather, the pools can be neck deep or even a quick swim. For us, it was never more than hip deep. The water is cold year-round, but if you hike in summer you could get by with regular swim shorts. In Fall/Spring I would highly recommend wearing 3mm thick neoprene pants. It keeps your legs from getting muddy and gross, plus retains warmth. The pools of water you will wade through are laden with thick, slimy mud. Wear shoes that you don't mind trashing at the end of your trip - there's no way to save them. I also don't recommend wearing shoes with holes like Chacos or Keens - the holes will completely fill with mud and other gross stuff (moss, or even dead mice parts). Barf! I just wore my old Altra King MTs. Also, because the coldest water sits at the bottom of the pool that's where the water is the coldest. 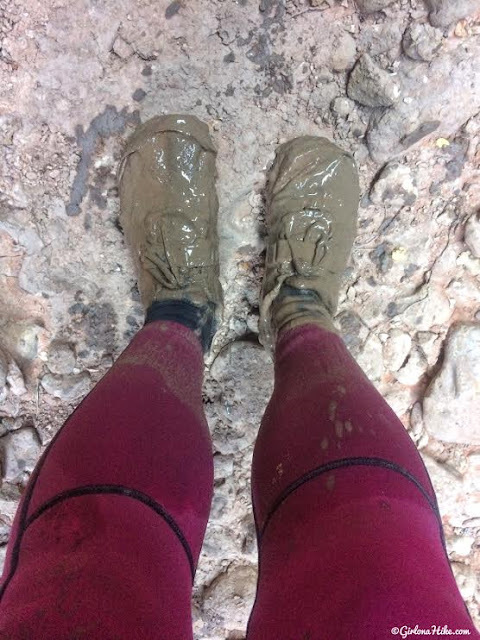 I recommended wearing neoprene socks to again, keep mud out of your feet, but also to retain warmth. 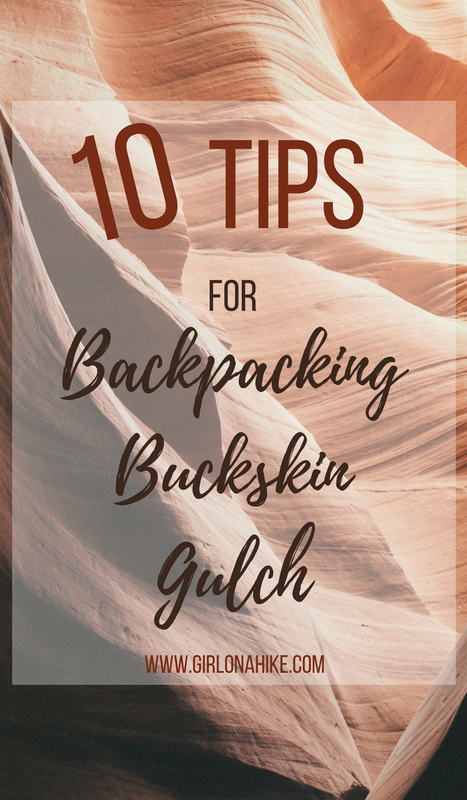 Because you'll be hiking through a lot of water, I recommend lining the inside of your pack with a thick, trashbag, and bring one extra in case you want to put your entire pack inside it while wading through water. You can also just carry your pack over your head like in this photo, but if you're pack is too heavy, it might make you sink deeper in the mud. If you bring dogs along, put everything that goes inside their pack with ziplock baggies. Charlie was easily able to swim through the deeper puddles, but of course, everything will get wet inside if you don't protect it. Don't plan on there being any ropes in the canyon. We were lucky to find this rope next to the last obstacle with the moqui steps, which made it so much easier to get the dogs down. The BLM regularly goes through the canyon and clears out any human-placed ropes and cairns. 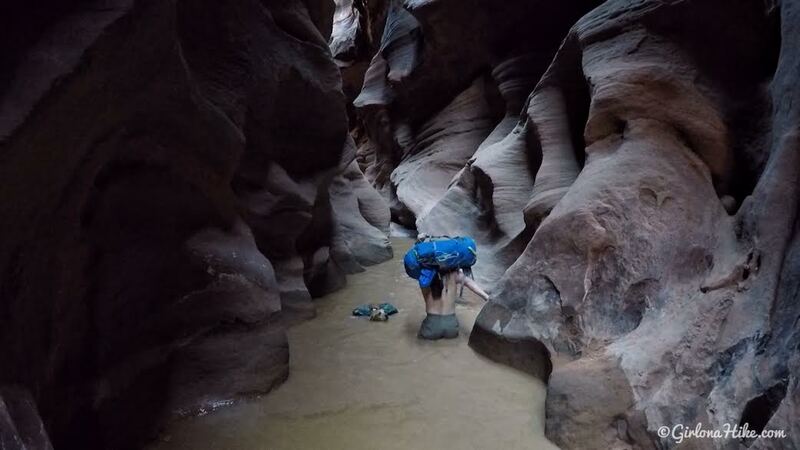 Just prepare for any worst-case secarios like 1) not being able to hike Buckskin Gulch due to flash flood danger 2) having a plan for what to do if you are caught in a flash flood 3) bring a first aid kit for injuries, etc. 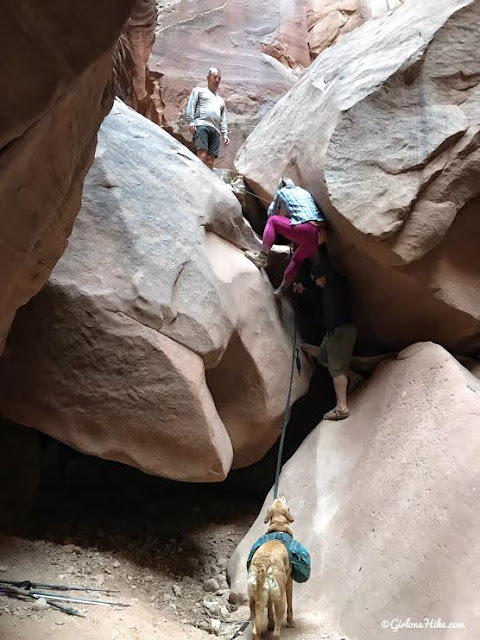 Anything can happen in a slot canyon, and there's no quick was to get help or rescue service. Let someone know what time you expect to get out of the canyon, so they can alert the ranger station if they haven't heard from you. Bring friends along that you trust, and can make the trip more enjoyable and fun. 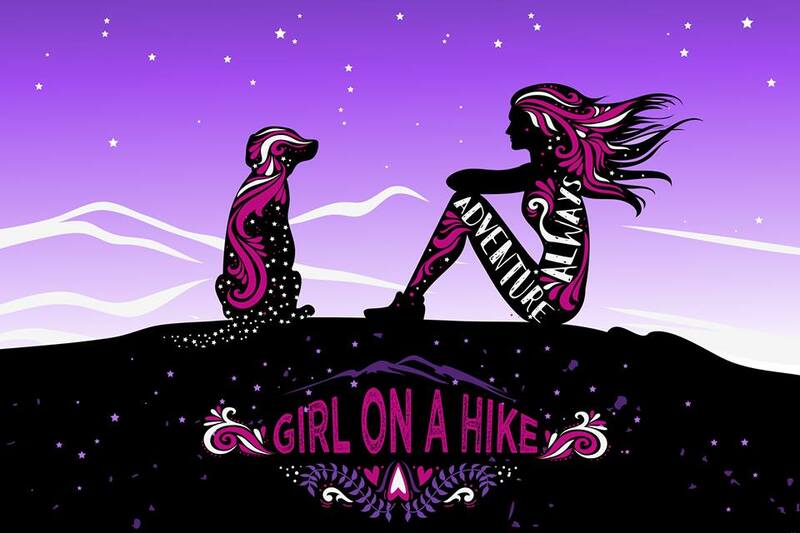 There will be times when you feel like you can't hike anymore, are feeling beat down, or are struggling with something else whether its phsical or mental. 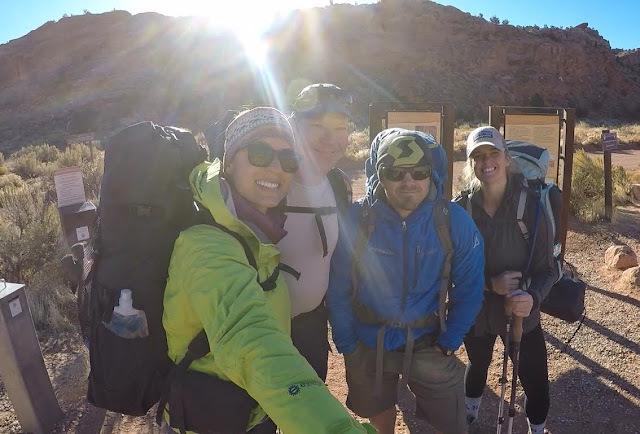 Having your best buds along will help you get through the tough times, and trust me, some of the best laughs I've had come after the hardest hikes! 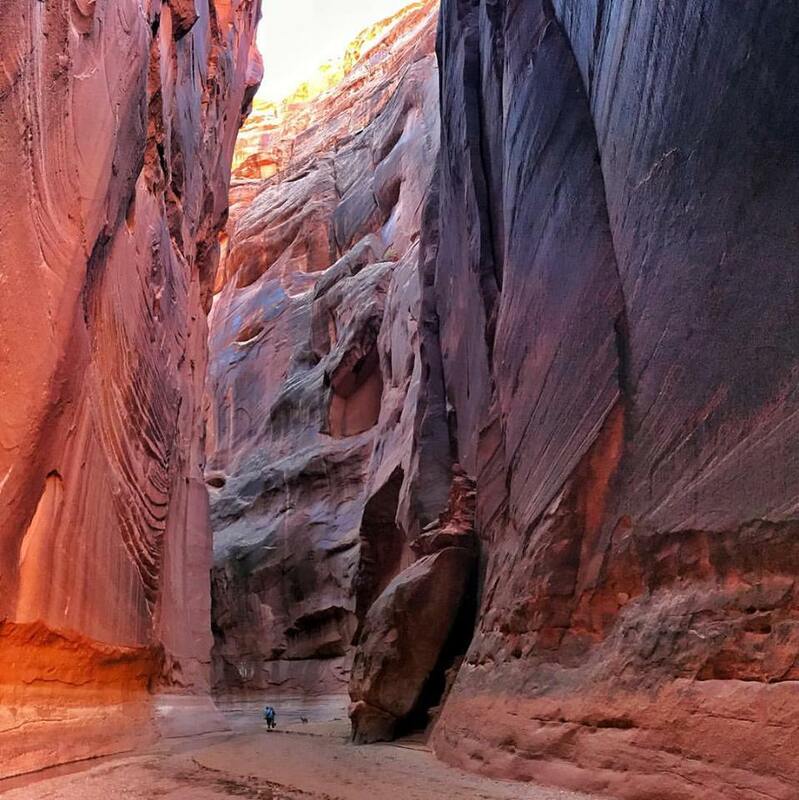 Bringing a good camera is key to capturing this amazing canyon. Parts of the canyon are so dark, only a sliver of light comes through. I used my GoPro and those pictures came out the worst - bring a nice camera that will be able to get good photos in any kind of light or dark hallways. Of course, editing can help, but the less you need to do the better. If all you have is an iPhone or Android for taking photos, try using the different pre-set filters to find the best lighting option. 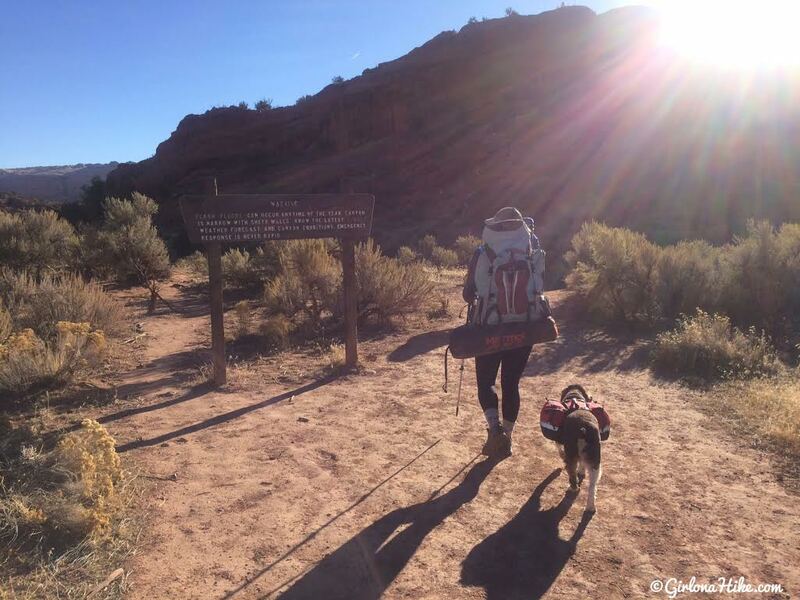 Whether you plan on day-hiking or backpacking Buckskin Gulch, get an early start. You'll be stopping for photos, snack breaks, etc and want to have plenty of time to reach camp before it gets dark. Plus, as you hike throughout the day the light will always be changing inside the canyon and you will be able to get a variety of photos. Start fresh with a good breakfast & coffee, get a good night's sleep the night before, and you won't have to feel rushed to hike faster. The campsites don't really have any logs or rocks to sit on, and after hiking 14 miles the first day, you'll want a comfy chair to rest. I didn't bring my camp chair because I wanted to "save weight", when I would have been so much happier with a chair at night and could have easliy carried one more pound of gear. 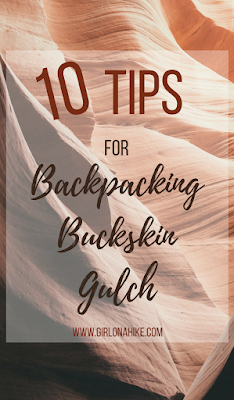 I've developed lower back pain over the years, and hiking over all the rocks and up and over boulders in the canyon made my back really tight afterwards. Bring your own chair! Don't wait to pick your permit the day of your trip! The ranger station is only open 8:30-4:30pm, and it's so much easier to pick it up the day before, and get caught up on the current conditions in the canyon. 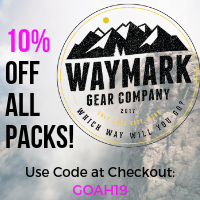 If you wait until 8:30am to get your permit, then drive over to the TH, then get your gear together, you're at least an 1-1.5 hours or so away from actually hiking. 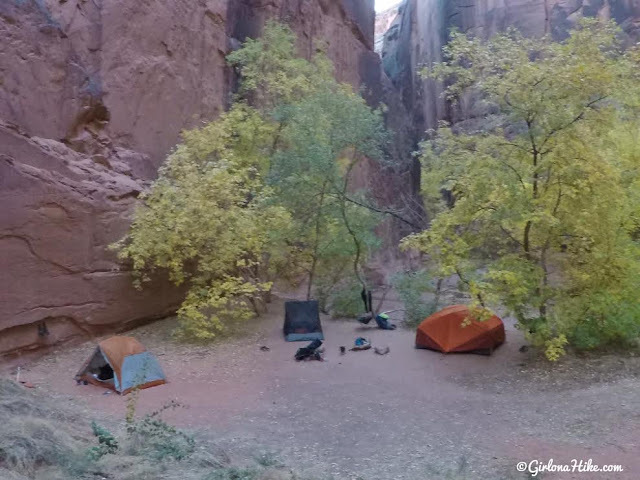 This will give you less time to enjoy the canyon and take photos, plus will get you to camp later at night. 10. Don't forget to look up (& back)! A lot of the time in the canyon, you'll be looking down at the trail making sure you aren't going to trip over rocks or hike in muddy spots - don't forget to look up and back! Some of the best views we got were when we would stop and turn around to get a photo of our friends and we'd say, "Whoa! Look at that back there!" Or, "Look how far up the canyon is!" 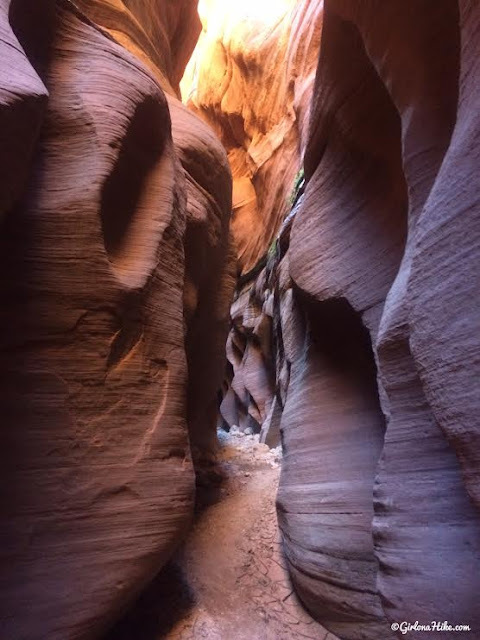 Don't forget to actually enjoy your views - Buckskin Gulch is really one of the prettiest slot canyons! Great advice!! 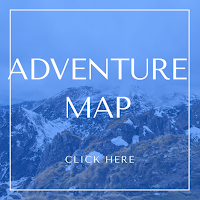 It is such an involved adventure it can easily get overwhelming! From the prep, the high mileage, the obstacles and the cesspools... it is so nice to go in prepared, so hopefully you can take moments to stop and truly appreciate the grandness of it all! And agreed, great friends make all the difference! 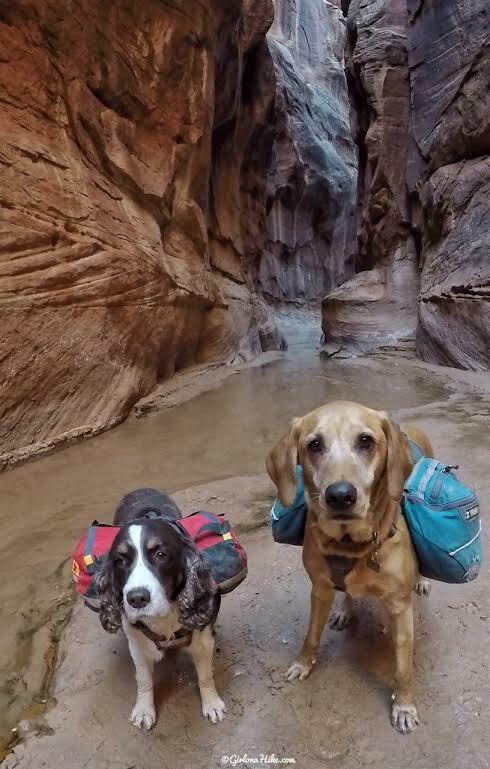 I'm looking for an end of year backpack with a friend and our dogs in So Utah. 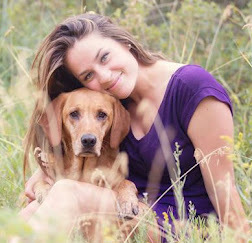 I live in MT and looking for a sunny end of year getaway. I know it won't necessarily be warm in So Utah but it will not doubt be warmer than it is where I live. Do you have any recommendations for great place to go for three days? 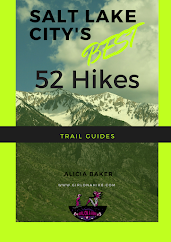 If we need to do a car camp with day hikes that's OK too. thanks in advance for any advice. Hi Wendy! I moved to UT from Bozeman!